If you've got a great batch of mead, you'll want to bottle it right to make the most of it. Let's take a look at the equipment and methods needed. Mead can be packaged in a variety of different bottles. This simplest way is to use beer bottles, either 12, 16, or 22 oz varieties, with a crown cap and a capper. This is appropriate for still or carbonated meads. For mead makers who also brew beer, this equipment will already be available. Some mead makers prefer to use wine bottles for long-term aging. The cork in a wine bottle allows small amounts of oxygen in, resulting in a phenomenon called micro-oxygenation, which can be beneficial for the flavor of the mead. 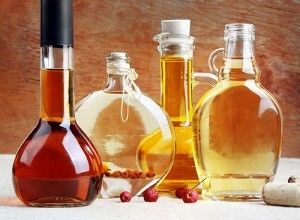 There are a variety of sizes and types of wine bottles available, all of which are appropriate for bottling a still mead. Wine bottles are not designed to hold pressure, and will break if used with a carbonated liquid, so make sure your mead is fully finished fermenting. Using Potassium Sorbate to prevent further fermentation in the bottle is a good practice. In addition to the bottles, you'll need a corker to insert the corks. Using a floor corker is by far the superior method, but hand corkers also work and are less expensive. Mead can also be kegged, which is the best way to carbonate your mead. A full kegging set up like our 5 Gallon Keg System w/ New Keg works well. A final option is to use either Champagne bottles or Belgian bottles, which have the benefit of a cork but also can hold a high level of carbonation. A floor corker along with special corks and wire cages are required. Regardless of the equipment you use for packaging, you'll want to use the same basic bottling practices. Good bottling procedures minimize contact with oxygen, which can create stale flavors if it gets into your mead. Use siphons to transfer the mead from your fermentor to your bottling bucket. Put a length of tubing on the bottling bucket spigot and connect the other end to a bottle filler. Always make sure your bottles are clean and sanitized and fill them from the bottom up, leaving a small amount of headspace. Cap or cork the bottles soon after filling. Good sanitation is also key at this stage for all pieces of equipment that come into contact with the mead. If you prefer your mead to be completely clear and free of all sediment, you'll want to transfer the mead a few times before bottling. A common test to see if your mead is clear enough to bottle is to see if you can read newspaper print through the fermentor. Meads can take a long time to clear, but usually patience is all that is required. If you want to clear the mead sooner, using a fining agent like Bentonite or Chitosan will greatly speed the process up.